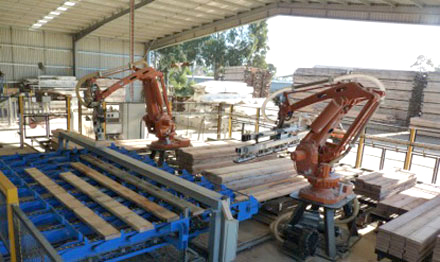 Robotic, off-site fabrication will bring the benefits of industrialised production systems to construction, said the team. Theo Dounas, learning excellence leader at RGU, said that the research project has the potential to significantly improve construction methods, helping to increase the quality and output while reducing costs and time. He added that it is hoped that the initial project will be followed by a range of ideas and solutions, from logistics, to design, testing CLT joints and the formation of insulated composite panels.